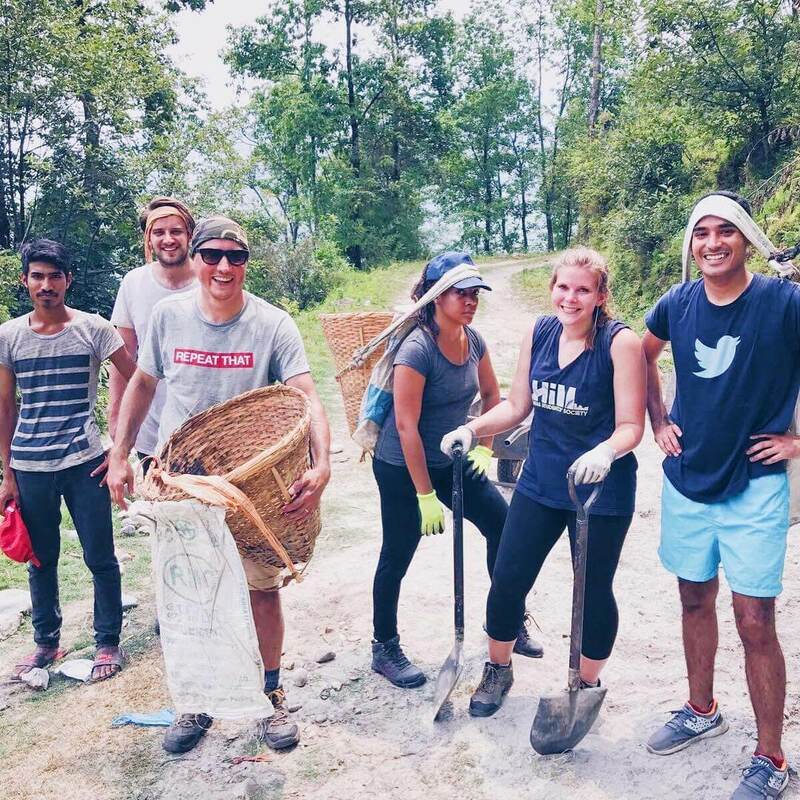 We have been delighted to host the first trip from Ogilvy to volunteer in Nepal. The communities we work with in Nepal have been struggling to rebuild their lives after the earthquake of 2016 which tore apart families, damaged homes and destroyed livelihoods. International Needs Nepal are helping families, particularly women, rebuild their lives. We are very excited to have the support of global PR and marketing firm ‘Ogilvy’ to make this happen. They have committed to raising funds for this livelihoods work and to extend the women’s empowerment centre we have in Kathmandu ‘Lydia Ladies’. Alongside their fundraising, we will be running 2-3 trips of 12 staff members travelling each year to volunteer for the work. This is part of their CSR programme of ‘Many Ogilvy Hands’. Ogilvy have worked with us before, building a secondary school over five years in Buikwe, Uganda. This photo was taken as the team from the first trip helped carry materials needed to build up a steep hill. Pretty sweaty work! On this trip there were 11 Ogilvy members and our National Director, Danny Morris. Their mission was to help the local team plan the beginnings of this work and to interview families about the support they need.